Comfortable apartments and rooms in a quiet and sunny position, small spa area with various saunas and tradtional, regional cuisine. 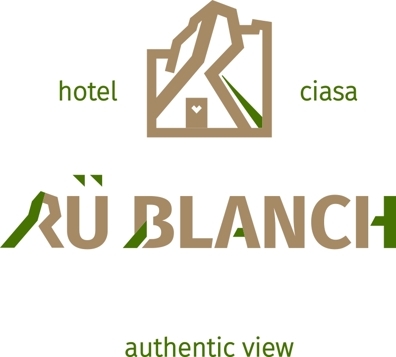 Welcome to Pension Rü Blanch*** in St. Kassian in Alta Badia! The completely renovated Pension Rü Blanch is located in the small village St. Kassian in the Dolomites valley Alta Badia. Thanks to its sunny and tranquil position, it is a perfect place if you would like to escape from the hustle and bustle of everyday life for some days and to recharge your batteries in the middle of a wonderful mountain landscape. For your stay, the Pension Rü Blanch offers stylishly furnished guestrooms with bathroom, balcony, satellite TV, phone, safe and hair dryer. Moreover, you can choose also the comfortable holiday flats for 2-4 persons. 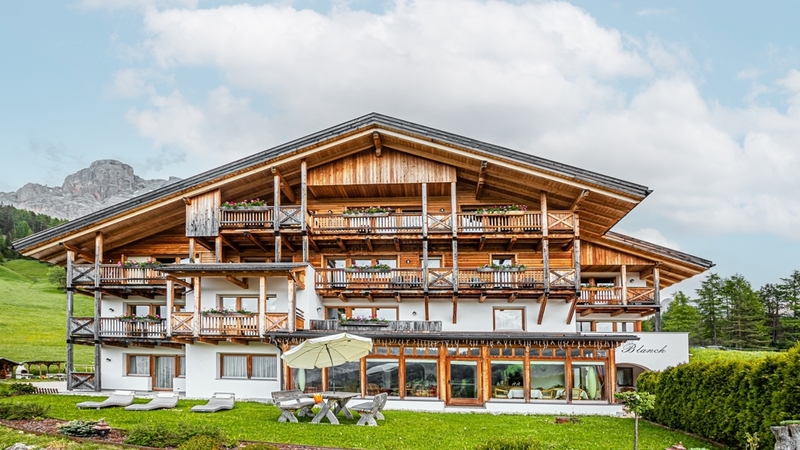 A small spa area with Finnish sauna, bio sauna, steam bath and rest room and the typical delicacies of the Ladin cuisine complete the offer by Pension Rü Blanch in St. Kassian. Not only people in search of relaxation, but also active vacationers like our house and the environs, because they can start hiking or skiing almost right on the doorstep. The lift facilities of hiking and skiing are Alta Badia are located only 800 m from our house. Our rooms are en suite with bath or shower, toilet, hair dryer, satellite TV, safe, balcony and wood floor or carpet floor. The apartment is ideal for 2 – 4 persons. It has a bedroom with doublebed, a bathroom and a living room with a sofa bed for 2 people, as well as a kitchenette, a balcony with view La Varella and wood and carpet floor. It also features satellite TV, a telephone and a safe. Bed linen is included. Animals are not allowed. We rent our apartment only with half board.